How Does Tuition Compare at Texas' Public Universities? 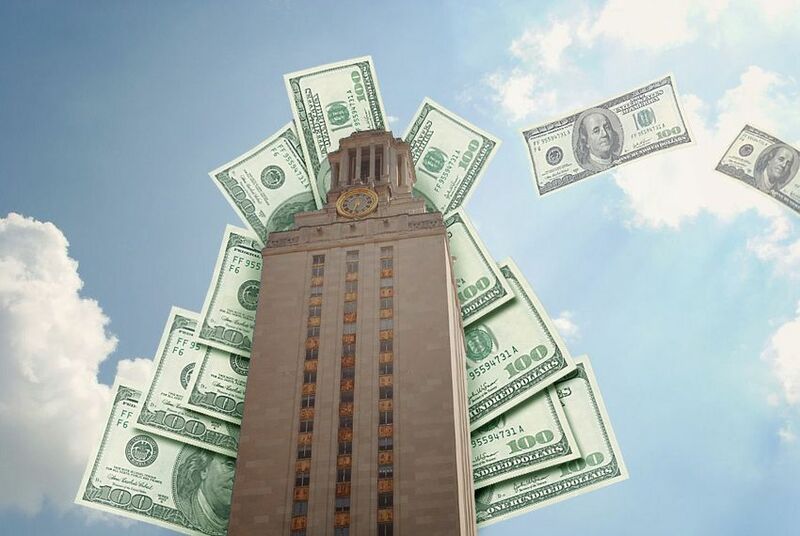 The cost of college in Texas is back at center stage, following speculation last week that University of Texas at Austin President Bill Powers' job could be in jeopardy over his frustration with a tuition freeze. Here's a look at the average tuition and fees at every public university in Texas for fiscal year 2012. The cost of college in Texas is back at center stage, following speculation over the last week that University of Texas at Austin President Bill Powers' job was in jeopardy over his public disappointment with University of Texas System leaders for their decision to freeze tuition at the flagship campus. Both Board of Regents Chairman Gene Powell and UT System Chancellor Francisco Cigarroa have denied that Powers' statement about the tuition decision — that it will "affect our ability to teach our students and make new discoveries" — has threatened his job security. But they flatly disagree with his assessment, contending that tuition hikes are not sustainable for students or their parents. While the average cost for a single year of public higher education in Texas is currently about $7,000, the actual sticker price varies dramatically throughout the state. According to the most recent data from the Texas Higher Education Coordinating Board, for a full academic year of higher ed, students pay anywhere from $4,946 at Texas A&M University-Texarkana to $11,168 at the University of Texas at Dallas. Nearly all of these dollar amounts will be going up next year. Often overlooked in the current conversation around UT's tuition freeze is the fact that it is rising at nearly every other university throughout the state. At every single institution in the UT System except for UT-Austin and UT-Arlington, tuition and fees will cost students more this coming fall than they did last fall. The difference between those two schools is that UT-Arlington asked that its tuition remain level (at least for one year; it could go up in 2013). UT-Austin did not. Texas A&M University President R. Bowen Loftin also did not submit a request for a tuition increase at his campus for the coming academic year. But that is the exception, not the rule. As worries about academic quality and declining state support meet concerns about student debt and access to education, the rhetoric around this perfect storm of higher education is intensifying — as evidenced by the latest drama at UT. In a gaggle with reporters on Wednesday, Gov. Rick Perry, who conveyed his opposition to tuition increases prior to the UT regents vote, said Powers may be on the wrong side of the issue: "It's really kind of interesting when Barack Obama, myself, [Lt. Gov.] David Dewhurst, Francisco Cigarroa and [House Higher Education Committee] Chairman [Dan] Branch are all for not raising tuition, and you're on the other side of that?"